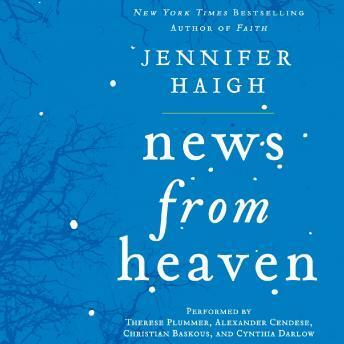 In News from Heaven, Jennifer Haigh—bestselling author of Faith and The Condition—returns to the territory of her acclaimed novel Baker Towers with a collection of short stories set in and around the fictionalized coal-mining town of Bakerton, Pennsylvania. Exploring themes of restlessness, regret, redemption and acceptance, Jennifer Haigh depicts men and women of different generations shaped by dreams and haunted by disappointments. Janet Maslin of the New York Times has called Haigh's Bakerton stories "utterly, entrancingly alive on the page," comparable to Richard Russo's Empire Falls.